Pokémon makeup brushes exist, and you'll want to "catch 'em all"
If you’ve ever wanted to paint on your makeup with the power of a million spritely Pikachus, your time has come. There are now Pokémon makeup brushes available on Etsy, and we’ve officially gotta catch ’em all. The 9-piece set of makeup brushes hearkens to our favorite childhood game and meets all our makeup needs. The brush set includes all of the essential makeup brushes you’ll need to get dolled up. 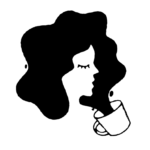 It includes a flat shader brush, a fan brush, a large blending brush, a pencil brush, a small flat shader brush, a small blending brush, a small pencil brush, an eyeliner brush, and last but not least, a lip brush. 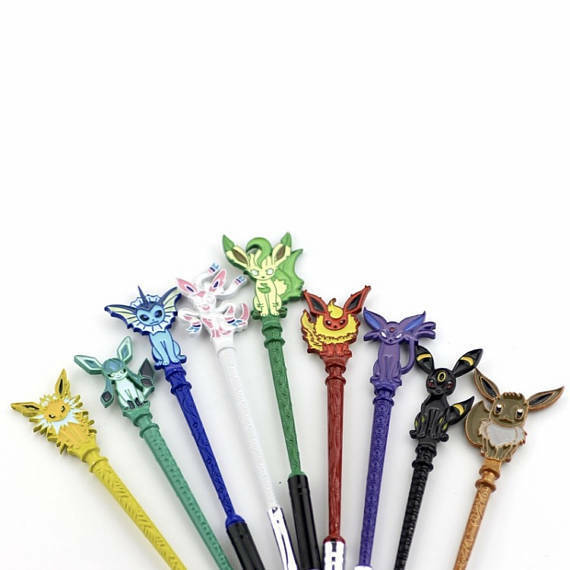 The Etsy user Simbae Shop has truly built a holy grail of Pokémon makeup brushes, and we can collect the whole set for $42.50. Considering the nostalgia and Pokepowers of this set, that’s a STEAL. Now we can collect these brushes and paint our face up gloriously before wandering the neighborhood and losing a few hours to Pokémon Go. We can tell all the neighbors at the Poke Gym about our new favorite brushes. While we battle, of course. 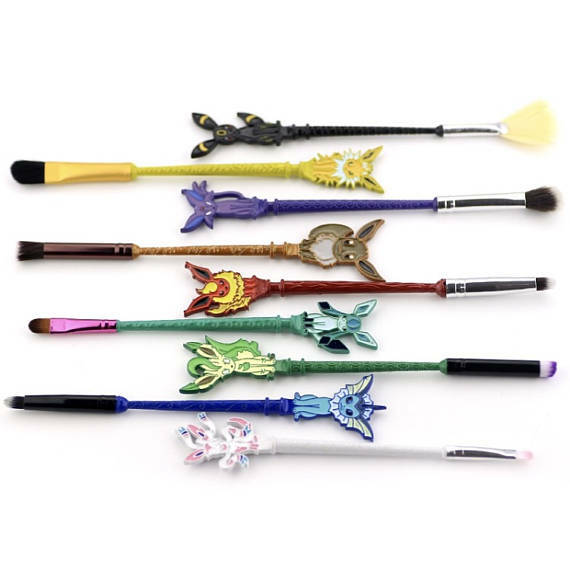 If Pokemon isn’t your personal kryptonite, the Simbae Shop on Etsy also has a set of Sailor Moon makeup brushes for $40. Yet another set of makeup brushes that we’ve gotta collect.